I’d like to give my $0.02 on The Last Airbender casting controversy, which my friend Derek Kirk Kim so eloquently commented on last week. 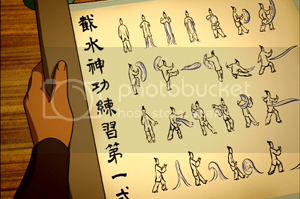 Avatar: The Last Airbender is unmistakably Asian. I can’t really see a way around that. Yes, it was created by two white guys. Yes, it was produced by an American cable network for a largely white American audience. Yes, all the scripts were written in English. 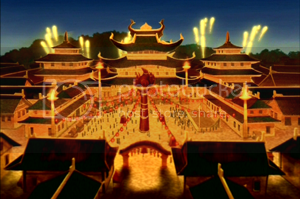 But the entire fantasy world of The Last Airbender - from the clothing to the architecture to the Chinese writing on the scrolls - draws very blatantly from real-world Asian and Inuit cultures. The characters themselves are as Asian as Marvel Comics' Black Panther is Black. I know that Aang’s big, round eyes might confuse the uninitiated, but big, round eyes are an anime convention, and in this instance they indicate youth rather than race. 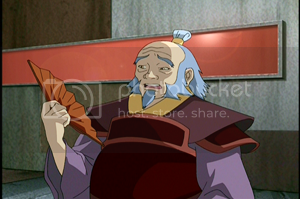 When Aang grew out his hair in Season 3, it was jet black, not bright blonde. I think the aforementioned Black Panther offers a useful comparison. Here's an ethnic hero created by two white guys for a largely white American audience. He's the king of a made-up nation - Wakanda - with a made-up culture that draws very blatantly from real-world African cultures. Now, imagine this: Marvel Studios decides to make a Black Panther movie. During casting they announce that, really, what they want is an emotional connection with the audience, and race ought to take a back seat. In the end, they give the part to an up-and-coming Caucasian actor, who states in an interview that he thinks he can pull the role off just fine with the help of a tan, a perm, and some good old-fashioned suspension of disbelief. How do you suppose the public would react? To be clear, I don't believe that director M. Night Shyamalan and the other creators of Paramount Pictures’ The Last Airbender movie are motivated by intentional racism. They probably just want to make the most entertaining (and profitable) summer blockbuster they can, the best way they know how. But intentionally or not, they are adding another chapter to Hollywood’s long, sordid history of Yellowface. By giving white actors roles that are so obviously Asian - and by stating from the get-go their preference for Caucasians - they tell Asian-Americans that who we are and how we look make us inherently inadequate for American audiences, even in a movie that celebrates our culture. Like the schoolboy who pulls up the corners of his eyes at his "Oriental" classmate, they highlight our otherness. The way I see it, Mr. Shyamalan and Paramount Pictures now have an opportunity to take responsibility for the old wounds they’ve re-opened. Whether and how they do so will reveal quite a bit about their commitment to the source material, their understanding of their profession’s history, and the respect they have for their audience. If you have strong feelings about this, I would encourage you (even if you disagree with me) to voice them to the film's creators. The good folks at Aang Ain't White have posted information on how to contact Paramount Pictures. I'll be sending my letter in today. Strange Tales Vol. 2 #1 Available Today! Wanna Own A Page of Pure Awesomeness?